JAGUAR XKE: HOT CATS AT AMELIA ISLAND! Sixty years ago a legend was born in secrecy. The first Jaguar XKE prototype, a roadster, was assigned an official chassis number: 850001. In March, an incredible field of XKEs will be showcased at one of America’s premier Concours. On March 11, 2018 the 23rd annual Amelia Island Concours d’Elegance will celebrate and honor the British icon that changed the world of sports cars forever: JAGUAR XKE: HOT CATS AT AMELIA ISLAND! A full class of Jaguar XKEs will take to “The Amelia’s” field nearly six decades after the XKE’s glamorous public debut by Jaguar founder and Chairman Sir William Lyons at the Hotel du Parc des Eaux-Vives on Lake Geneva. 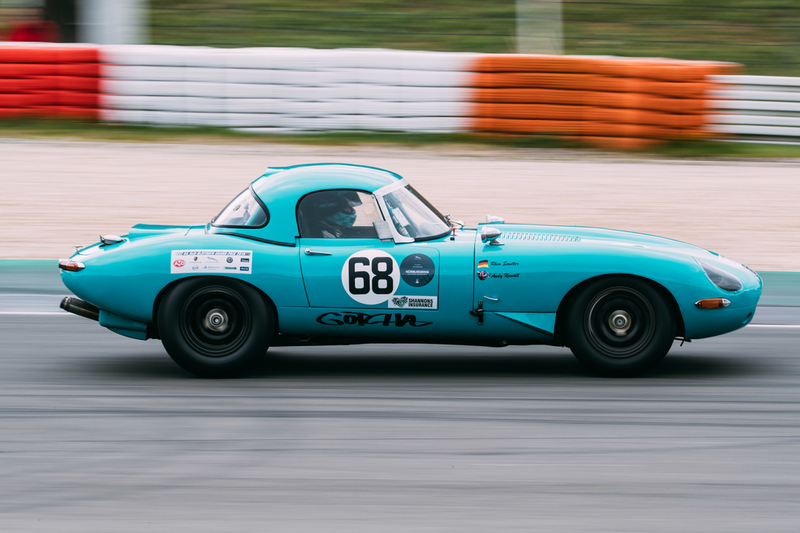 The XKE is a pure blood descendant of Jaguar’s three-time Le Mans winner, the legendary D-Type. The potent D-Type’s design DNA flows through the svelte contours of the XKE courtesy of Malcolm Sayer, the aerodynamicist who also drew the sublime shapes of the Le Mans-winning C and D-Types. Even today, the E-Type’s silhouette, born in the 180 mph cauldron of Le Mans during the Fifties, looks fresh and modern. The post JAGUAR XKE: HOT CATS AT AMELIA ISLAND! appeared first on Car Guy Chronicles.